An alcohol expert warns New Zealand has reached 'peak booze' - and some the worst affected are older generations. 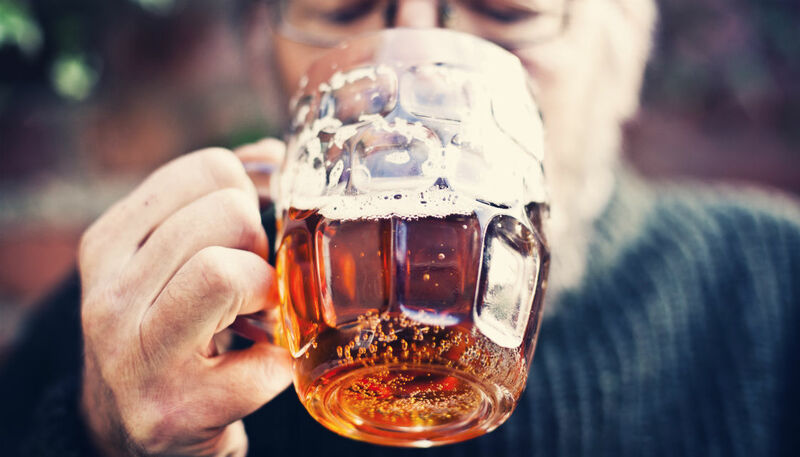 New statistics show the damage alcohol is doing to New Zealand as problem drinking cuts a swathe through our elderly. And the problem is getting worse. This drinking has a chilling effect our health system. During the 2016-2017 financial year, 4070 people were hospitalised due to their alcohol consumption - some more than once. But these hospitalisations were just the tip of the iceberg. "You would probably need to at least double those numbers to be close to the true healthcare burden," Dr Jackson says. "Someone who broke their leg falling down stairs after drinking would not be counted. Someone who broke their pelvis after drinking, driving and crashing would not be included." Our extreme alcohol consumption has reaped a grim harvest. The most recent figures, collected in 2015, show 180 people died as a result of their alcohol abuse. It's a lingering and painful death. Organs fail, nerves degenerate and the addict is overwhelmed by fear and terror as their bodies shut down. And the age groups worst affected were over 50, with most dying between 60 and 69 years old. Dr Jackson says this is likely due to the large increases in hazardous drinking in this age group and the time it takes for chronic diseases to develop. "Signs may not show up until your 40s or 50s. These conditions are extremely expensive to treat," she told Newshub. University of Otago Chair in Preventive and Social Medicine Professor Jennie Connor told Newshub chronic conditions result in a lot of hospital admissions. "Chronic conditions are starting to become quite common: things like alcoholic cirrhosis of the liver, but also a range of cancers - 30 percent of alcohol-related deaths in NZ are from cancer." Even these figures could be an underestimate of the true damage drinking is doing. "These are only counts of events where someone died and alcohol was put on their death certificate, or they were discharged from hospital and alcohol was coded on the discharge record," Prof Conner told Newshub. "The methods used by the Global Burden of Disease project… provide a more realistic view (about 800 deaths per year in NZ) but this is conservative as there is a lot of harm that is not recorded or included."